This device makes it possible to access content without the need for a cable service or subscription, needing only access to the Internet, such as through a wired or wireless connection. Use the universal search mode to play content from these and hundreds of online sites to play on your HDTV when the Amazon Fire stick is inserted into the TV's HDMI port. Do more with Alexa. Fire TV Cube is always getting smarter with new Alexa skills and voice functionality. From across the room, just ask Alexa to turn on the TV, dim the lights, and play what you want to watch. Alexa has more than 50,000 skills and counting. Create your own personal skills and custom responses with Alexa Skill Blueprints. Echo Dot (3rd Gen) - New and improved smart speaker with Alexa - Charcoal NEW. Both the echo and the plug are sealed new. All-new, streamlined Fire TV with 4K Ultra HD and HDR support. Subscription fees may apply. Echo Dot Kids Edition, a smart speaker with Alexa for kids - blue case. Automatically filter explicit songs from Amazon Music. I DO NOT send as a GIFT. USB 2.0 Micro-B host OTG cable allows for faster charging. external mass storage devices etc USB port to android smartphones and tablets with micro USB Port. USB Adapter works on all-new Amazon Fire TV Devices and Fire TV Stick 2nd gen ONLY. Fire TV with 4K Ultra HD and Alexa Voice Remote. No problem. Watch live TV and sports with subscriptions to Hulu, PlayStation Vue, and Sling TV. Upgrades available. Alexa voice service, WiFi, Bluetooth. Echo is always getting smarter, designed around your voice. "Turn off my lights. "Alex play top songs". From across the room, just ask Alexa to turn on the TV, dim the lights, and play what you want to watch. Do more with Alexa. Fire TV Cube is always getting smarter with new Alexa skills and voice functionality. You are bidding on ONE AMAZON FIRETV STICK WITH ALEXA VOICE REMOTE. This is a brand new open box unit that is has never been used! It is missing the outer packaging/box but otherwise new. This is your chance to save big-time so don't miss out!!. VAUX High-performance portable speaker carbon dock for Amazon Echo Dot this is compatible with the second generation Amazon Echo Dot only. AMAZON Speakers/Subwoofer I LIVE PLATINUM. SPEAKERS/SUBWOOFER: AMAZON MODEL I LIVE PLATINUM, 6", N/A. By January 1995, Uncle Dan’s Pawn – South Dallas was in operation. After several years in that Cedar Hill location, we outgrew our space and needed a larger building. A superior protector for your Echo Dot easy to install and remove. Its port allows for easy cord access and it will not interfere the microphones or speakers ensuring sound quality without blocking the sound from the speaker. Connects to Amazon Echo and Echo Dot via Bluetooth. Includes an integrated microphone for when you are too far away or it's too noisy for Echo to hear you. Item pictured opened for pictures only. Your remote will be new and sealed. Alexa Voice Remote for Amazon Echo. New open box. Fire Tv Cube Hands-Free With Alexa And 4K Ultra HD Streaming Media Player NEW! Alexa Voice Remote. Amazon IR extender cable. Quick start guide/Marketing guide. Power adapter (USA TYPE). Simply say, “Alexa, find suspense thrillers” and Alexa will show you results. Alexa, the brain behind Amazon Echo, doesn't stop there. Plus, Alexa on Fire TV is always getting smarter. Just plug Fire TV Stick into your HDTV and start streaming in minutes. 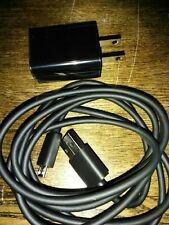 AMAZON OEM PS57PC 9W POWER ADAPTER FOR ECHO DOT (2ND GEN) -NEW! You are bidding on ONE BRAND NEW AMAZON OEM PS57PC 9W POWER ADAPTER FOR THE ECHO DOT (2ND GEN). This is new removed from the original packaging. This is your chance to save big-time so don't miss out!!. Easy setup with an Echo (1st and 2nd Gen), Echo Dot, Echo Show, Echo Plus, or Echo Spot. Just ask, "Alexa, setup my Echo Buttons". Echo Buttons are the first Alexa Gadget, a new collection of accessories that enable fun and playful Alexa experiences. Model Amazon Fire TV Stick (1st Generation).